Guess who finally got her hands on EOS lipbalm? I am totally a lipbalm person. I have 2 of them stashed in each bag i carry. Having ultra dry lips a lipbalm is a must have . I read about these balms a year back. While the pocket money and savings have plummeted to zero. EOS- stands for Evolution of Smoothness. Their products are limited and consists of Lipbalms,Chapsticks,Hand/body lotion and Shave cream. And is a rage among the HOLLYWOOD celebrities. Today i have the Sphere Lipbalm for review. They come in 6 flavors. It comes in a cute Sphere. The colors differ according to the flavors. The lids fit perfectly . It is firm and not easily dented. You can carry it around even in extreme temperatures knowing it won't soften. Summer fruit has a strong Ripe plum flavor. And everytime i apply it i'm reminded of my hilly hometown and the fresh air there. Does its job of moisturising the lips well. Not very long lasting but i don't really care. Its clear and not tinted. And if you are wondering what will happen once the lip balm dome is used up. Don't worry .You won't have to scoop it out as that's all there is. A great buy for Lip balm junkies like me. Please feel free to leave your blog links in the comments. Would love to visit you. Always wanted to try one.. looks so pretty..
and d worst part is when they do come. so cute and small packaging... interesting..!! not like the regular balm stick/ chap sticks. GReat to find the review here.Infact I have been wanting this from years now and everytime someone visits US , i forget this. This time I have listed it : ) Hope to enjoy it soon ! enter my STEVE MADDEN Giveaway here! i'm so in love with this lip balm,...it's awsome! This post is about the make-up and beauty.The above post is just awesome.The make-up stuffs are lovely and amazingly effective.I just love it. 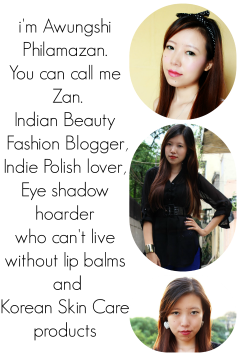 This blog-post is all about different types of make-up and beauty products.These are just amazingly effective.These products are of good quality.Thank you so much for this post.